Hi, I wanted to set one of the buttons of the Keylab Essential 49 to create a HOLD/Latch function without a computer. 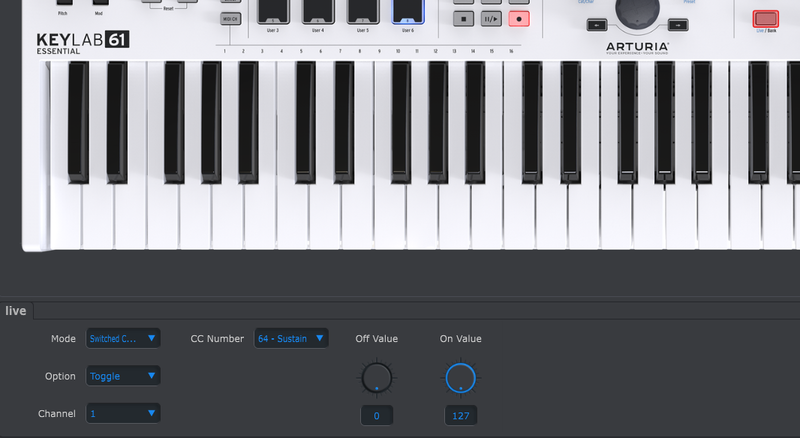 It is possible to do this with some setting on the MIDI Control Center? I wanted to use it with external power as a controller for a Volca FM.